The North American food safety testing market is projected to reach $16 billion by 2020, according to a recent study by Markets and Markets. In just a few short years, it’s safe to say that purchasing a software solution to create and manage food safety programs will become ubiquitous, equivalent to that of employing any other software tool such as Microsoft Excel. However, there is a broad range of capabilities for food safety software, and some solutions are much more complex than others. Many types of HACCP software operate as part of an ERP system, merely managing documents online under IT administration. But the technological capabilities of a food safety management system are endless in terms of value-driven innovation. Any competitive software on the market should go further, and be flexible and agile enough to meet and contain the challenges of a changing regulatory landscape and aggressive market space. One of the ways food safety management can take things further is through the use of intelligent algorithms that can help food safety professionals get the most out of their software—and their HACCP plan. For example, instead of manually searching for all the physical, chemical and biological hazards (as well as radiological hazards under HARPC), intelligent algorithms can use data from other HACCP plans to suggest hazards. By comparing facility types, process flows, ingredients and more, a sophisticated algorithm can make smart suggestions that give food safety professionals a significant leg up, cutting down research time and providing a context of learning since it’s much easier to learn by example than starting from scratch. As such, suggestions can equip food safety professionals with the right mindset to discover potential hazards. 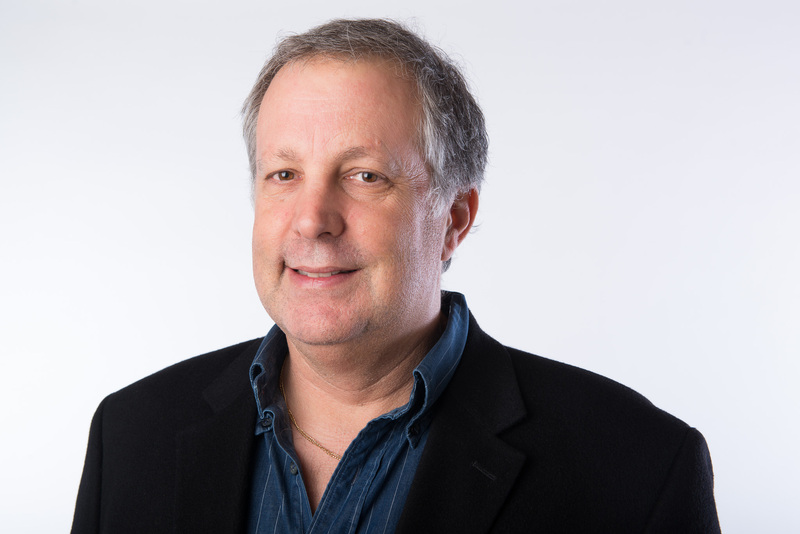 There are core benefits to searching for software technologies that have intelligent algorithms in place to analyze and retrieve data for those food businesses looking to get the most long-term value out of their vendor purchase. High-risk foods are defined by the FDA as foods that “may contain pathogenic microorganisms and will normally support formation of toxins or growth of pathogenic microorganisms.” High-risk foods include raw meat, poultry, fish, dairy, fresh fruit, and vegetables, and processors working with these products handle more hazards and process steps in general than processors making low-risk foods. Instead of sorting through hundreds of hazards, facilities with high-risk products and complex process steps are able to skip much of the manual grunt work and simply select automatically generated hazards and process steps suggested to them at their fingertips. It’s common for small food businesses to put the bulk of their food safety duties on the shoulders of the owner. For many who have no previous background in food safety, there can be an unexpected and frustrating learning curve to overcome before you can pay the sweat equity required to develop a HACCP plan, and not for lack of trying. Similarly, junior food safety employees in new facilities can find established food safety practices challenging to navigate. Through intelligent algorithms, a software system can reinforce food safety hazards and process steps that might have been missed or forgotten by making them instantly available for retrieval and selection. Recordkeeping is an essential component to an excellent food safety culture. In the grand scheme of things, managing resources to allocate time to high-level tasks that require human expertise on the production floor is a critical activity that most food safety professionals prioritize. Having more time to correct potential risk actions is crucial to ensuring the lowest possible likelihood of a recall. Smart software systems facilitate better employee time management practices so they can maximize their hours for meaningful, rather than menial, work. By taking back the time that would have been spent researching hazards, smart suggestions provide food safety professionals with a starting point that allows them to choose from a curated selection without delay. Facilities that have a tendency to experiment with product development (i.e., food startups) are prone to using a significant amount of ingredients and formulas. When it comes time to present the right information for inspections and audits, this translates into a substantial amount of additional work in maintaining a HACCP plan. Intelligent algorithms enable a clear and organized focus, eliminating the minutiae surrounding information management of experimental product development. Human error is inevitable. The beauty of technology is that it acts as a safeguard to ensure there are no glaring omissions that may have an impact on food safety duties. As a final once-over before sending in the HACCP plan, it makes good sense to have smart suggestions to cover all the bases. Intelligent algorithms allow food safety professionals to do more with their time. By selecting from suggestions related to ingredients, materials, packing and process steps, a considerable amount of time is restored to the work day compared to the time-consuming exercise of manually assembling lists. The main benefit to a food safety software solution with intelligent algorithms is to reinforce the right mindset for listing physical, chemical and biological hazards for ingredients, material, processes and beyond. While smart suggestions should always be verified by a food safety professional familiar with the internal operations of a facility, for companies that aim to work smarter but not harder, smart algorithms are a key feature to keep in mind when researching software vendors. How can Food Safety Management Systems Improve Compliance and Reduce Risk? 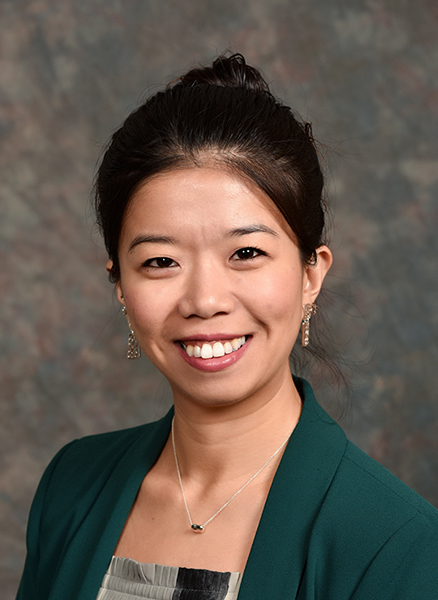 LeAnn Chuboff, Senior Technical Director, SQFI, talks about using data within the food safety management system to prioritize and address food safety risks within the organization. Food safety regulations are driving organizations to seek more methods of enhancing visibility into their quality and safety operations to increase compliance and reduce risk. As this need evolves, the tools inherent in the Food Safety Management System are crucial in helping an organization take a proactive approach to preventing food safety risks. What lessons can you learn by looking at and analyzing your non-conformance reports and how can you use these to better your food safety management programs? 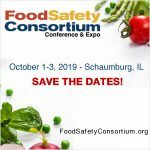 LeAnn Chuboff, Senior Technical Director, SQFI, talked about using data within the food safety management system to prioritize food safety risks within your organization. 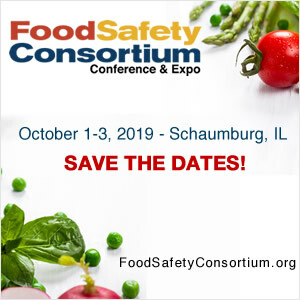 Speaking recently on the topic of How can Food Safety Management Systems Improve Compliance and Reduce Risk, Chuboff discussed the example of SQF analyzing a year’s worth of audit reports and non-conformances. Below are some excerpts. And the allergen management program should be thoroughly addressed in the facility’s food safety plan. On further analysis, SQF found that 84 percent of the facilities were missing an allergen program; 13 percent of the non-conformances were due to improper storage of the food products; the next issue was that facilities have improper labeling in place – 2 percent of non-conformances were due to labeling issues. And another problem was inadequately addressing rework. Have a strong internal audit program – this will help you engage your employees, identify problems, and address them successfully. What can auditors and scheme owners do? Work on providing stronger GFSI guidance? In summary, Chuboff added that companies need to gather the right data, use the data available to identify areas of opportunity and establish KPIs; conduct a root cause analysis and use the tools available and work with all members on the team to develop a solution; avoid settling on simple solutions and immediate corrections and instead plan to get to the root; establish a preventive action plan for long-term control; and finally, repeat all the above! To listen to Leann Chuboff talk more on this topic, click here. One of the key areas that stands to lose in the fiscal cliff lies in food safety. We may be looking at a food chain that is less safe in 2013 that it is now. The fiscal cliff is a series of tax cuts that are set to expire at the end of the year. It also would mean that spending cuts would take effect, which would have an impact specifically on Food Safety in the United States. One of the key areas that stands to lose in the fiscal cliff lies in food safety. If we indeed fall off this fiscal cliff, there will be an 8 percent cut in spending for plant and animal health inspections, equaling about $70 million in cut funding. The Food Safety and Inspection Service agency could stand to lose about a billion dollars from their budget. We are also looking at about $3 million in spending cuts on inspectors. This means less food inspectors in the field, and as a result, less inspections. We are looking at a food chain that is less safe in 2013 that it is now. The other question that comes into play is whether the ever-delayed Food Safety Modernization Act (FSMA) is going to continue its path to law. We all know the delays that the FSMA has encountered since its introduction and passing in 2010. Now that the election is over, the administration seems more committed to the law than ever before. However, this does not mean that we will see much movement in the coming year. The Office of Management and Budget has stated they plan to release the rules of the FSMA in early 2013, with a 60 day period of public comment. Once that is completed, FDA will take about a year or so to incorporate any public’s comment into the final rule. After that, other agencies will need to review these rules and approve them to actually make it into law. So, it’s a year for FDA, and a year for other agencies – provided we don’t have any issues (which we will), we’re looking at 2015. More realistically, we’re looking for 2016-2017 timeframe for the FSMA to become a law. 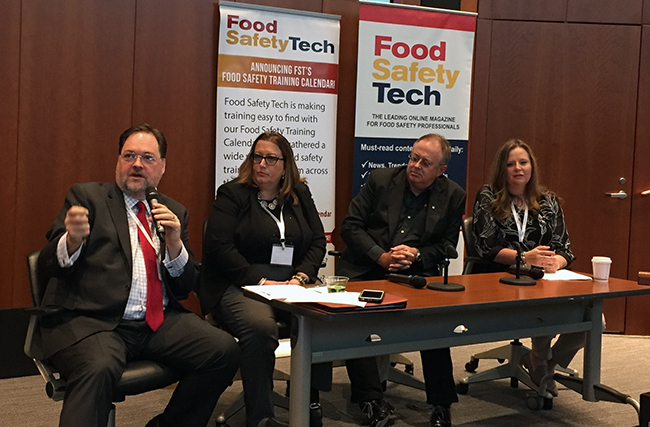 But whatever the result of government legislation and laws to be enacted for Food Safety Management, organizations are taking the necessary steps today to build processes that foster safer and higher quality food management. The Global Food Safety Initiative’s various schemes (BRC, SQF, IFS, etc.) are currently the gold standard for food safety in the industry today. Companies that are implementing these schemes are taking a proactive stance on food safety, and demonstrating a commitment to promoting safe quality foods in their operations. Better traceability in the food system, making it easier to recall products if safety issues arise somewhere in the food chain. New record-keeping requirements for regulated facilities and more powers for inspectors to compel the production of documents in usable formats. Tougher penalties for those who violate established safety standards, increasing maximum fines from $250,000 to up to $5 million, or even higher at the court’s discretion. Registration for all importers, to add a greater degree of certainty to the food safety system. More authority for the Canadian Food Inspection Agency (CFIA) to certify exporters, if required by other countries to facilitate trade. There’s obviously more to the bill, but the highlights emphasize a tighter control and enhanced visibility to an organization’s Food Safety Management System, and their supply chain. Canada has made some movement into promoting Food Safety at the Federal level. I sincerely hope that 2013 gives us a better view on Food Safety Management than it seems to be right now. But if not, it’s up to the producers to promote their continued commitment to adhering to the compliance standards that help them to operate a safe environment and produce the safest possible products for the food and beverage industry.